By Wesley Fenlon on March 15, 2011 at 12:50 p.m. The A5 has been given the electron microscope treatment. Take a look! 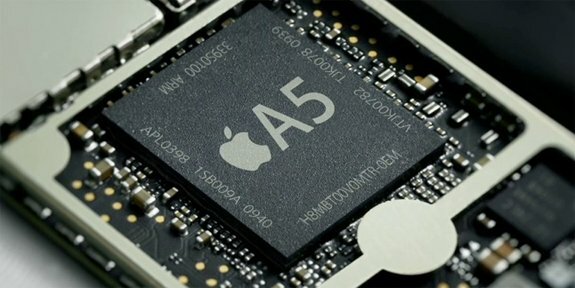 Curious what Apple’s A5 processor looks like? The brain behind the iPad 2 and the upcoming iPhone 5, the A5 system-on-a-chip combines a dual-core processor and PowerVR GPU to deliver improved performance over the 2010 model. 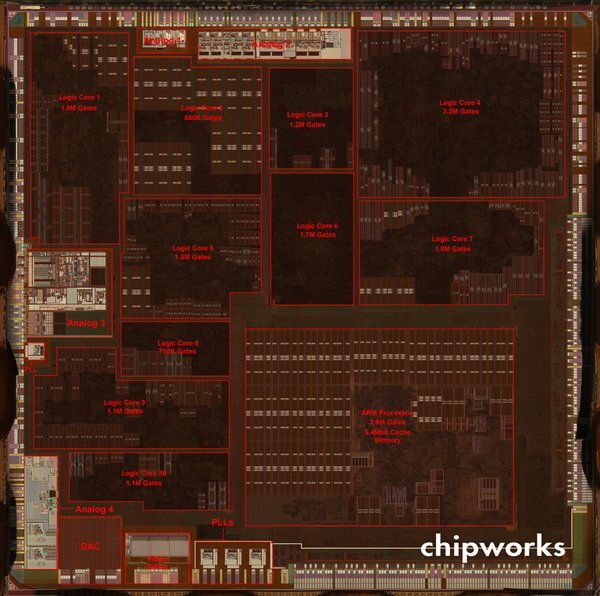 Chipworks disassembled an iPad and put the A5 under a microscope to eyeball all of the changes between the two Apple processors. With its dual-core ARM Cortex-A9 processor, the A5 is more than double the size of its predecessor, measuring 10.1mm x 12.1mm compared to the A4’s 7.3mm x 7.3mm. Apple's A5, which is actually twice the size of the A4. Two cores! 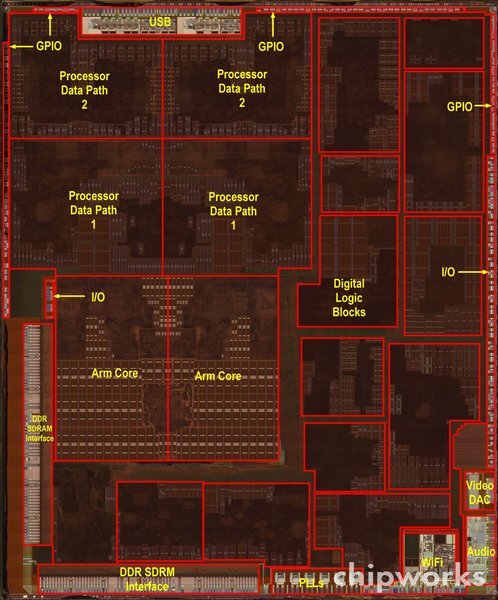 Chipworks noted the similar design of the A4 (left) and A5 (right) and deduced that Samsung is still fabricating Apple's chips.